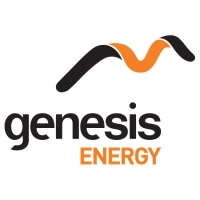 Genesis Energy is a state-owned enterprise with a diverse electricity generation portfolio. We own and operate 1,640MW of electricity generation, including New Zealand's largest thermal power station at Huntly, a high efficiency 48MW open gas cycle turbine at Huntly, hydro stations at Tongariro and Lake Waikaremoana, the Hau Nui Wind Farm in the Wairarapa and co-generation facilities at large industrial sites at Te Awamutu and Kinleith. We are New Zealand's largest energy retailer, with more than 700,000 electricity and gas customers located predominantly in the North Island. The company is also heavily involved in gas exploration and production to secure future fuel supplies for New Zealand. It has a 31 percent equity interest in the Kupe oil and gas field and a 40 percent equity stake in the Cardiff deep gas prospect. Our aim is to Make a Difference to New Zealand. This underpins the way we operate and do business, how our staff interact with stakeholders, and can be seen in our efforts to reduce our impact on the environment. To be as profitable and efficient as comparable businesses that are not owned by the Crown. An organisation that exhibits a sense of social responsibility by having regard to the interests of the community in which it operates and by endeavouring to accommodate or encourage these when able to do so. Details of our plans, including five-year targets, to achieve shareholder and company objectives are provided in the 2004/05-2009 Statement of Corporate Intent . See our website (link below). By delivering on these objectives across the energy value chain (fuel, generation, retail) we will work towards achieving our vision, delivering on shareholder value while contributing positively to New Zealand's energy sector and the broader community in which we operate. Working hard to achieve this balance will bring success to Genesis Energy and New Zealand.